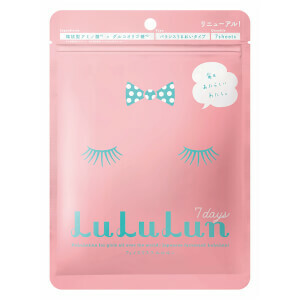 Quench extremely dry skin with the LuLuLun Face Mask in Blue; one of the best-selling sheet masks available in Japan, specifically designed for daily use to deliver exceptional skincare benefits and effectively boost hydration levels. 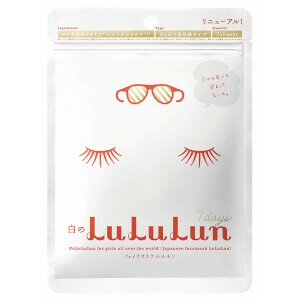 Triple the concentration of Lipidure® ensures deep and long-lasting moisturization, with effects lasting up to 130% longer in comparison to the other LuLuLun sheet mask ranges. 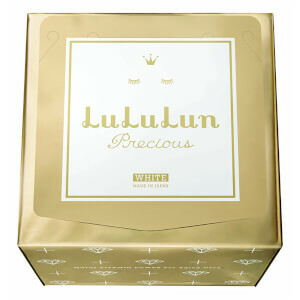 A powerful combination of Glyceryl Glucoside and Royal Jelly work to stimulate Aquaporin-3 circulation within cells (water pathways within the epidermis), resulting in skin feeling refreshed and balanced. Water, Glycerin, Propanediol, Polyquaternium-51, Glycosyl Trehalose, Hydrogenated Starch Hydrolysate, Glyceryl Glucoside, Sodium Pca, Hydroxypropyltrimonium Hyaluronate, Hydrolyzed Viola Tricolor Extract, Hydrolyzed Adansonia Digitata Extract, Carbomer, Cymbopogon Schoenanthus Leaf/Stem Extract, Malva Sylvestris (Mallow) Flower Extract, Peg-40 Hydrogenated Castor Oil, Xanthan Gum, Citric Acid, Sodium Citrate, Phenoxyethanol, Methylparaben, Butylene Glycol.